I love matte nails! They are so TESSfully chic. Matte palette is also the easiest and the fastest way to add a solid sophistication to your manicure, independently on the color itself. Whether you prefer bold or pastel shades, the matte layer on top will give your nails that impeccably sleek and posh look you always wanted to have. Said that, let me share with you my TESSful girlie secret. My biggest craving of the week is... yes, this astonishing grey nail polish you see below. It was a love at first sight. The color looks so warm and cozy on the nails, yet at the same time, it shows ambitions and certain toughness. This shade definitely dispel the myth that grey is a color of depression or apathy. No way! Instead, it screams confidence and a strong personality behind. Style-wise, it is quite neutral and can TESSfully complement any of your looks. 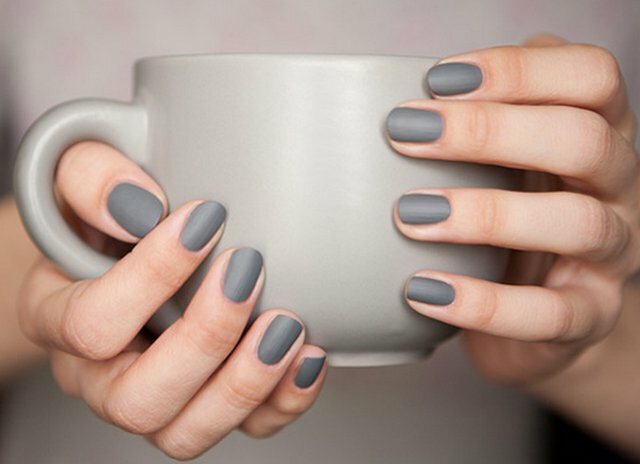 If you fancy this particular color, it is a Matte Grey Nail Polish by ZOYA ($19.99). TESS it here. All pictures were kindly provided by Google Images. In case you know the authors, I will be happy to put a copyright. love 'em all! indeed they are lovely! Matt nail polish is amazing! I always try to wear matt because i just think the finish is more appealing! I've invested in the rimmel matt nail polish garnish and it's amazing!! 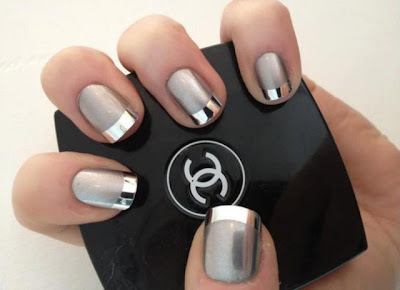 I am in love with matte nail polish! Would youu please check out my blog? this is an amzing colour and thank you for the sweet comment and for following. Thanks a lot:-) Will be in touch then!